Hi Friends and new readers of this blog! I wanted to kick start 2019 with something different to my blog. One of the things I want to do, is highlight all of the great gluten free bakers and businesses based in the North West of England. I currently live in Southport, is it Lancashire? Is it Merseyside? I will never really know. But one thing I do know, is that the North West doesn’t really get represented as much as places further down south does. 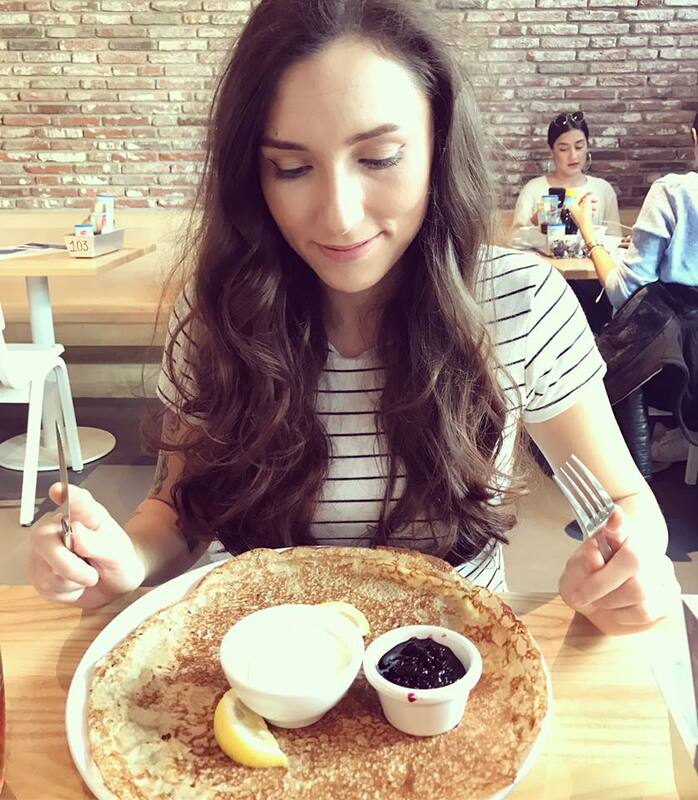 If you’re new to gluten free, you might see a lot of influencers post about their trips, and although they’re nice to look at, it’s not that accessible to you if you live up North like I do! This blog post coincides with what I actually wanted to write about, a lovely small business called The Alternative. Based in you guessed it, the North West. The Alternative is a small, independent cake business, which provides gluten free cakes, for both delivery and collection. It’s ran by a lovely young lady called Meg, who also has a food allergy training qualification, so you know that you can trust her. I was kindly delivered a box by Meg herself, after choosing three of the many flavours that were available, and I was not disappointed. Keep reading if you want to find out which ones I tried, and why! When they were delivered, I was really impressed as the ingredients list came with them, and they looked absolutely beautiful too! And then I took a little bite of the frosting from the Jammy Dodger flavoured one. It was out of this world! Being me, (someone who can binge eat cake until the cows come home), I immediately tried it, and it was incredible! And then I noticed something about them that I didn’t realise… They have a secret centre filled with something just as yummy! The Jammy Dodger one was filled with fruity jam, and perfectly balanced out the flavour and texture of the cake! I shared some of these with my boyfriend and family, and they loved them just as much as me. Nobody else is gluten free, and normally, they can taste the difference, but with these, the fact that they were gluten free went completely unnoticed. I would even say that they are 100% better than items I have tried from some bakeries in London that people seem to rave about. No dry cupcakes or overly sweet frosting here; everything is perfect! I don’t know where Meg gets her talent from, but credit to her, as they were so delicious! I will definitely be placing another order with her, and you should try them too! If you’re based in the area; you don’t have to travel far to get an insta-worthy cupcake! They would be great if you’re a local food premise in the area who wants to stock gluten free cakes, for work events, events, baby showers, birthday parties, or if you just love cakes and want to indulge in something different. If you want more information about the flavours, allergens and delivery, or to order some right away (why wouldn’t you? ), then go and check out her Instagram and give her a DM. Click HERE to head over to her Insta. Thank you so much to Meg for letting me try these amazing treats!